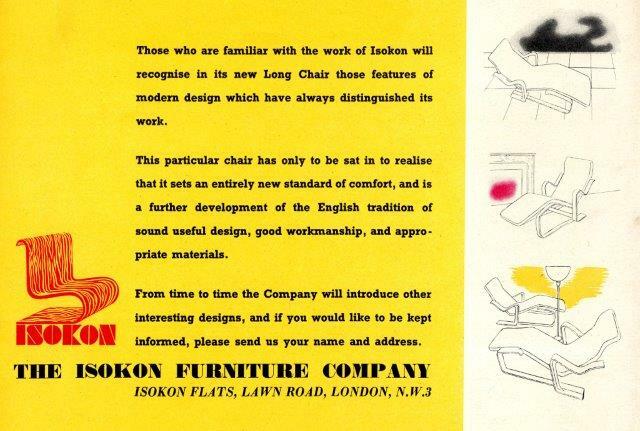 Isokon Furniture Company was established in 1935 by Jack Pritchard (1899-1992). Early designers included Walter Gropius (architect and founder of the Bauhaus School), Marcel Breuer (architect and designer of the long chair) and Egon Riss (Penguin donkey bookcase). With an emphasis on plywood, the company focussed on lightweight modular furniture, promoting comfort and minimalism. 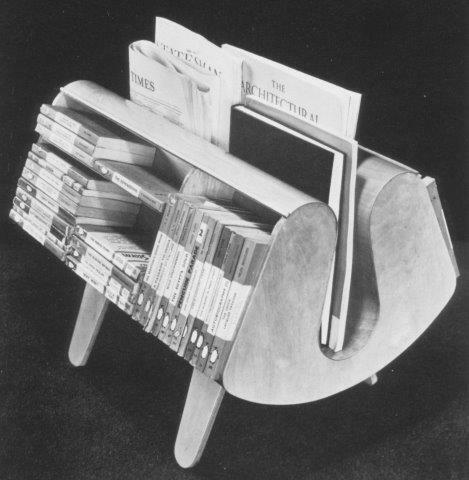 Penguin donkey bookcase mark 1, designed by Egon Riss and Jack Pritchard 1939. Pritchard’s progressive ideas on urban living were further realised in the fitted and serviced flats he built in Lawn Road, Hampstead. These iconic pieces from the 1930s are still being handmade by Isokon Plus™ today. Lawn Road Flats, Hamptead, London circa 1950. Photograph by John Maltby © Pyrok Ltd. 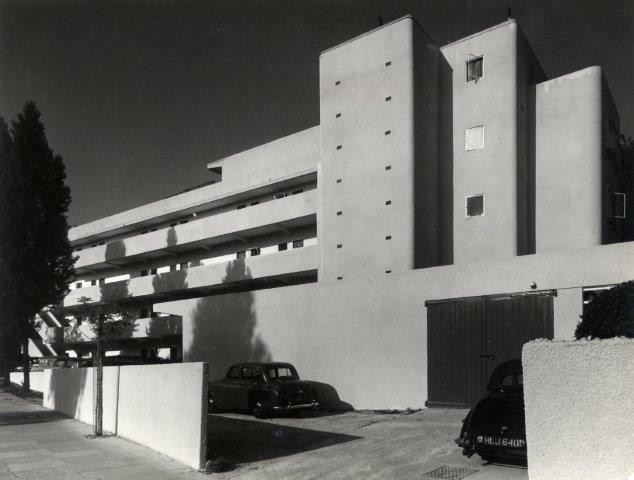 Lawn Road Flats, designed by Wells Coates and commissioned by John Craven (Jack) Pritchard opened in 1934 representing a key landmark in British social and architectural history. The serviced flats provided a residence to leading lights from the Bauhaus fleeing Nazi Germany, Walter Gropius (architect), Marcel Breuer (designer) and Moholy-Nagy (graphic designer). Artists and writers included Agatha Christie, Henry Moore and Kenneth and Diana Rowntree. The grade 1 listed building in Hampstead London is now known as The Isokon Building. It was beautifully restored by Avanti Architects in 2004 and now includes The Isokon Gallery which was opened to mark the 80th anniversary on 9 July 2014. The Archives holds detailed papers on the flats and its tenants. From missing laundry complaints (Agatha Christie’s knickers to be specific) to the menus and rules of the Isobar Half Hundred dining club. More seriously in this collection are papers relating to prominent designers and architects from the 1930s, wartime activities including the assistance of prominent European émigrés, papers of Political and Economic Planning (PEP) and the Furniture Development Council. 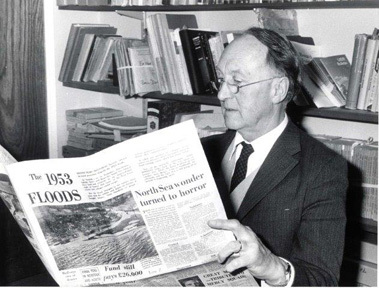 Hubert H. Lamb (1913-1997) was the Founding Director of the Climatic Research Unit (CRU) at UEA (1972-1977) and was awarded an honorary doctorate (D.Sc.) from UEA in 1981. His archive includes papers on North Sea storms, climate history including the ice age, long-range weather forecasts, rainfall studies, specific weather phenomena and the history of the CRU. Recent users of this collection include CRU staff, researchers from King’s College London and Aarhus University Denmark, and an environmentalist from Australia. 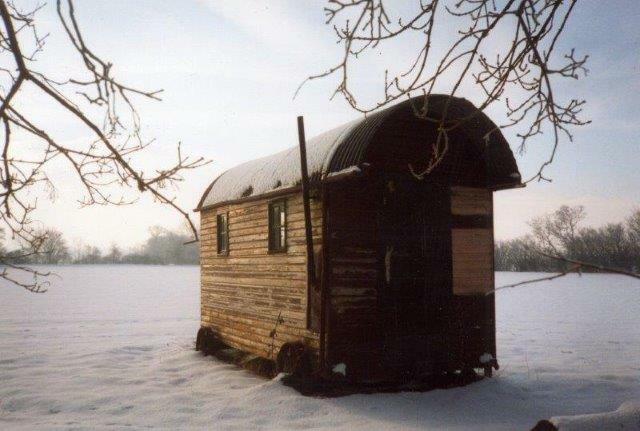 Roger Deakin’s shepherd’s hut sits strikingly in a field of snow at Walnut Tree Farm. In winter Deakin was more likely to choose to sleep in the small bedroom above the warm farmhouse kitchen but ultimately he would ‘crave the mild adventure’ of sleeping outside. This meant that on spring, summer and autumn nights this nature writer and lover of the outdoors could leave the farmhouse and his cares at the end of a working day, enter a relatively simple world with only candles and a slow but sure ‘Tortoise’ stove for heat, and settle down to the sounds and smells of nature in his shepherd’s hut or railway wagon. A crow was flying in big circles about the field, climbing steeply now and then, then gliding down, as if for pure pleasure. I dozed back to sleep but was awoken by a most terrific rumbling and shaking of the whole hut, and a scratching sound. I thought a cat must somehow have leapt in through an open window and on to my bed. But I think it was the roe-deer, the one with the faun, rubbing against the hut, as I heard what sounded like hooves disappearing through the long grass. The birdsong was now far too raucous for sleep, so I adjourned to the house over dewy grass for breakfast, and to wrap a leaving present for Frank Gooderham, my lovely postman. In his book Landmarks, published earlier this year, fellow nature writer and friend Robert MacFarlane explores Deakin’s landscapes and sense of place as part of a wider meditation on the power of language, the relationship between words and nature and our understanding of our environment. A life lived as variously as Roger’s, and evoked in writing as powerful as his, means that even after his death his influence continues to flow outwards. Green Man-like, he appears in unexpected places, speaking in leaves. The Roger Deakin Archive includes manuscripts and research papers for Waterlog and Wildwood, over 130 notebooks and diaries, papers of Friends of the Earth and Common Ground, papers of the Aldeburgh Festival from the 1980s, papers relating to rural Suffolk and a pair of Speedo trunks. 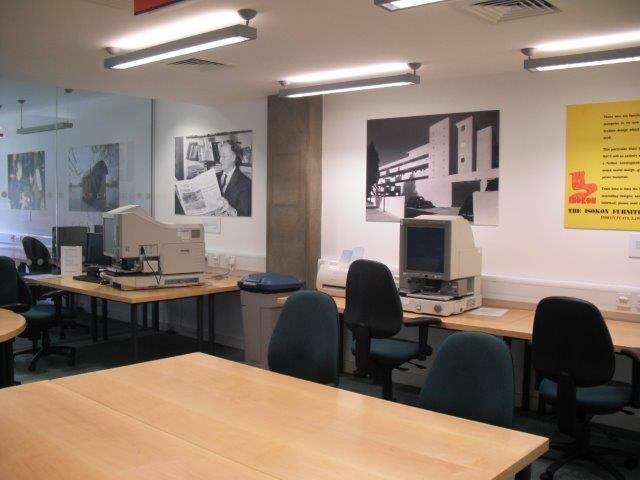 Welcome to our new UEA Archives blog. 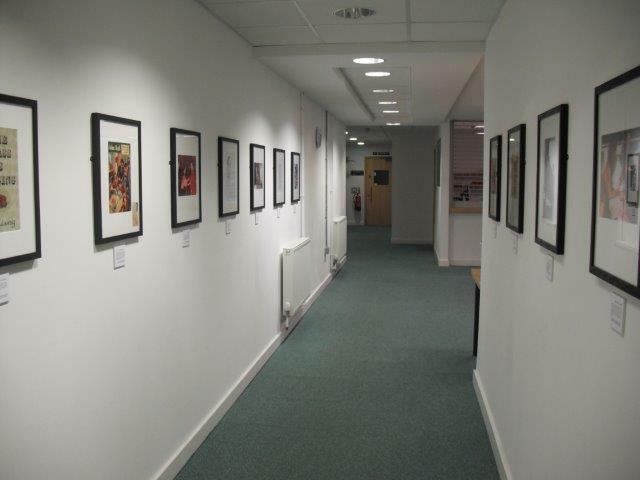 We are launching with a glimpse at a selection of exhibits now on display at the approach to UEA Archives and in our Archive Reading Room. 17 images take our visitors through climate change, wild writing, iconic 20th century architecture, post war Rhodesia and some world renowned writers of contemporary literature. Visitors can view images from Doris Lessing’s archive, including an early short story, Little Tembi, published in May 1951 in John Bull magazine. There is also a picture of J.D. Salinger (1919-2010), author of Catcher in the Rye, photographed at his writing desk. Beside it is a letter to his old friend, Donald Hartog (1919-2007), in which he talks about his aversion to the publishing industry. Their correspondence, held within our Archive collections, continued over several decades. Elsewhere, there is a dispatch to Reuters from East Berlin from the journalist, Anthony Grey, shortly before his capture and 777 day detention in Beijing for reporting on the Cultural Revolution. There are also glimpses from the Pritchard Papers and Isokon Trust Over the coming weeks we will feature some of the images and the stories behind them.